When a person is killed in an accident on the job or dies from complications after a workplace accident, the surviving family members may be entitled to workers’ compensation death benefits. Families that are dealing with the loss of a loved one and the resulting financial hardships need to have experienced legal representation on their side to help fight for necessary compensation. At the law firm of Pulgini & Norton, LLP, our lawyers have more than 40 years of experience handling workers’ compensation claims in the Greater Boston area and throughout Massachusetts, including workers’ compensation death benefit claims. We understand how difficult and emotionally devastating these cases are for our clients. Our firm can provide the dedicated and compassionate representation our clients deserve. Contact our firm today for a free initial consultation at one of our three offices in Massachusetts. Schedule an appointment by calling toll free at 781-843-2200. A spouse and dependent minor children of a deceased worker may be eligible to receive workers’ compensation death benefits (survivor benefits). These benefits are calculated as a percentage of the average wages of the deceased, in addition to funeral expenses. These benefits may be paid as weekly cash benefits or as a lump sum. 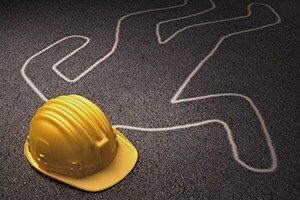 In addition to workers’ comp benefits, it may be possible to pursue a wrongful death lawsuit against a negligent property owner, manufacturer or other third party. After an injury on the job, contact us to schedule an appointment for an initial consultation and learn more about workers’ compensation death benefits in Massachusetts. You may e-mail our firm here or call one of our three offices in Braintree, Hyde Park or downtown Boston toll free at 781-843-2200.